Get wireless storage wherever you go with the WD My Passport Wireless Pro! Built with the latest wireless 802.11ac technology delivering fast data transfers and smooth HD media streaming capabilities. Wirelessly transfer images you capture in the field via FTP Mode with your compatible DSLR camera to the drive, where they can be backed up, viewed and edited using a connected tablet or laptop. Integrated SD 3.0 card reader delivers fast media transfers on the go. Offload or copy high-resolution photos and Full HD videos from your camera’s SD card to this high-capacity drive to back up everything you capture and create workflow efficiencies needed to keep you moving. Up to 10 hours of continuous use. * Bring it on an all-day photo shoot and stay out in the field longer. Take it on a long trip and continuously stream videos on the road or in flight. * *Based on streaming HD 720p, 3 Mbps video to one device over Wi-Fi 2.4 GHz single band only. Actual battery life depends on !file size, type, format, bitrate, devices connected, Wi-Fi connectivity, settings and other factors. No electrical outlet? No problem. Charge your smartphone, tablet and other USB devices on the go with the integrated 6,400 mAh power bank. With this convenient feature, everything you need is in one device making it the perfect travel partner. Quickly move or copy media to and from your My Passport Wireless Pro with the super-fast data transfer speeds of the USB 3.0 port. This is especially time saving when you need to transfer a large amount of .RAW images or Full HD videos to or from your computer. Use the convenient USB 2.0 port to easily transfer media from an external USB storage device, like a compatible DSLR or CF card reader. Plex organizes your entire media collection with one simple interface and visually enhances it by adding descriptions, plot summaries, posters and album covers. 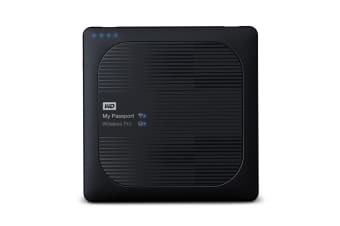 Wirelessly stream media stored on your My Passport Wireless Pro to all your devices, including your PC and Mac computers, smartphones, tablets, Smart TV and more. Wirelessly connect My Passport Wireless Pro to your mobile devices using the My Cloud mobile app so you can view, organize, edit and share your media files from anywhere with your tablet and smartphone. Adobe Creative Cloud equips you with the tools you need to turn your brilliant ideas into creative masterpieces. And since My Passport Wireless Pro is Creative Cloud connected through the My Cloud mobile app, you can quickly get your photos and videos from your camera to your drive and into the Creative Cloud ecosystem. With just a few clicks on your tablet, you can open, edit and save files wherever you are. When you connect another external USB storage device to your My Passport Wireless Pro, you’ll be able to wirelessly access content on that external device using your computer, or tablet and smartphone using the My Cloud app. It becomes a network share on your My Passport Wireless Pro, so whether you are working from a computer or keeping it light with a tablet, your media is always accessible. 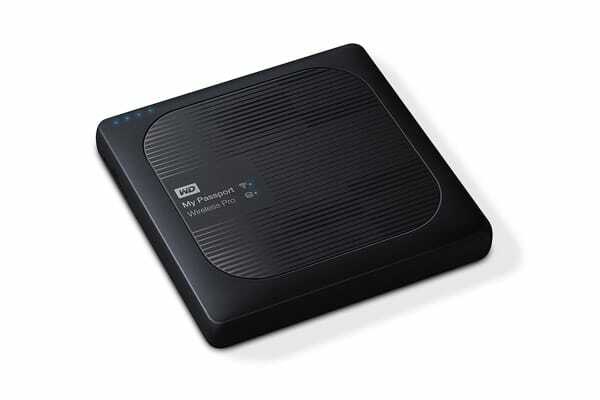 Formatted ExFAT eliminates the need to reformat your My Passport Wireless Pro. Just start it, connect and go. Wi-Fi password protection helps keep your photography, videography, music and important files safe from unauthorized wireless access. 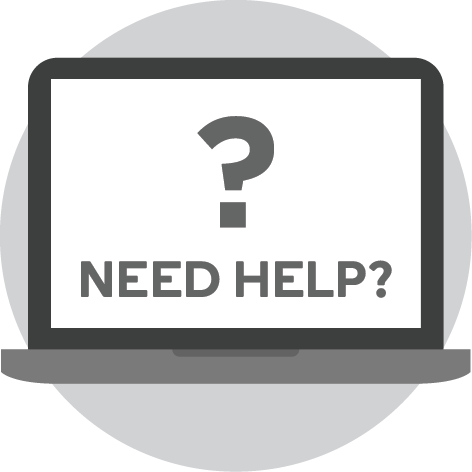 Set up Drive Lock in the device dashboard to prevent USB access to your content in the unlikely event it is lost or stolen. Use My Passport Wireless Pro as a Wi-Fi hub to share an Internet connection with up to eight (8) devices. 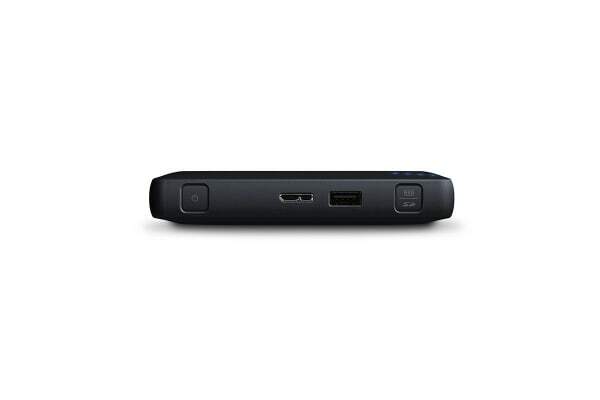 Connect multiple devices to your My Passport Wireless Pro and simultaneously stream up to 8 HD videos (8 videos x 3 Mbps HD MP4 streams). Perfect for sharing video footage from your latest shoot or keeping a group entertained on a long road trip. My Passport Wireless Pro is conveniently equipped with two different wireless bands: 5GHz 802.11ac band for faster performance on compatible wireless AC devices and 2.4GHz 802.11n band for better long-range performance for both wireless AC and N devices.